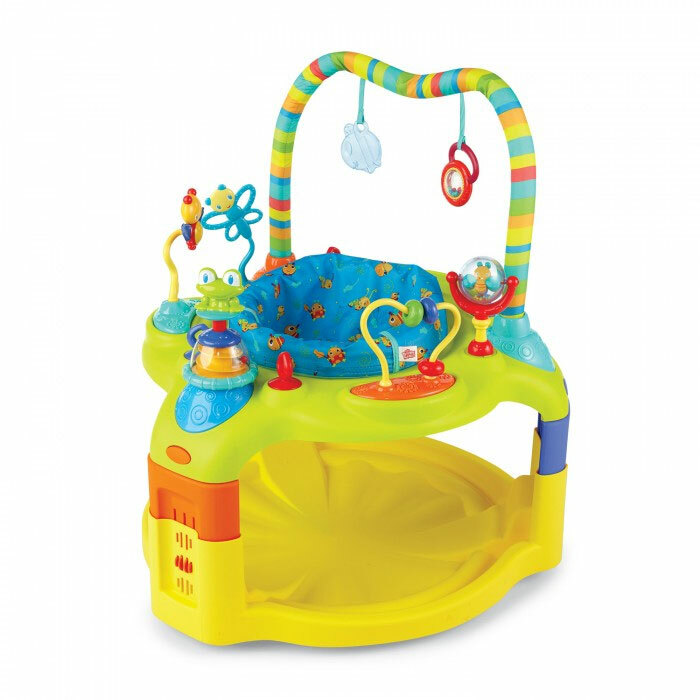 Bright Starts Entertain & Grow Saucer provides endless excitement with seven activity stations that feature bead play, a push-top spinner with swirling beads. The Bright Starts Entertain and Grow Saucer provides endless excitement with seven activity stations that feature colourful bead play, a push-top spinner with swirling beads and so much more! The fully-rotating seat allows easy access to all of the fun, as well as the overhead toy bar with hanging toys. The Ideal Fit Seat™ and adjustable height grow with baby, ensuring maximum enjoyment.